Healthcare Provider (HCP) - Basic Life Support Certification (BLS) Overview: Learn how to perform CPR for Adults, Children, and Infants, how to use an Automated External Defibrillator (AED), how to apply standard techniques for First Aid, and best practices for Bloodborne Pathogens. After successfully passing the Free BLS Test and after a successful purchase you will receive your certification and PDF card instantly, via email and on-site. You'll also receive your Hard Card within 2-5 business days. All courses follow the American Heart Association (AHA) and Emergency Cardiovascular Care (ECC) guidelines. Our Basic Life Support certification (BLS) class is targeted to Health Care Professionals (HCP) and features comprehensive training on how to respond to an assortment of common medical emergencies as a solo or team rescuer. 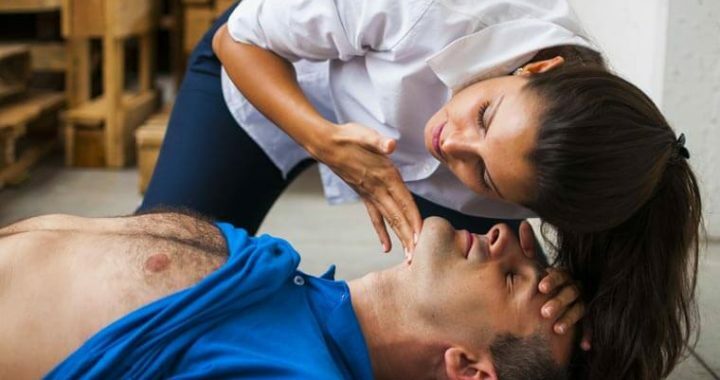 BLS techniques are most commonly used by trained personnel, including EMTs, paramedics, lifeguards, and other authorities in charge of emergency response efforts. The BLS certification class teaches medical workers how to perform life-saving techniques on infants, children, and adults. Basic life support essentially aims to keep individuals suffering from life-threatening medical conditions alive in the interim of being transported to the hospital or during transfers to more advanced treatment centers. A BLS certification doesn’t have to be expensive or take away too much of your time. We offer credible and convenient online BLS training, which strictly adheres to the guidelines of the AHA and the OSHA. When the stakes are high and you need a BLS certification to get or keep your job, you can easily study at your own pace or even do the 13-module class in one go. When the test is completed and a passing grade is confirmed by the online portal, simply print the BLS certification right away as proof of accreditation. Our online BLS class is not only convenient, it’s affordable too. The cost is a one-time fee of $19.95 $14.95 and is only due after you pass the test. There are no upfront costs or hidden fees. Simply pay at the end of testing and get instant proof of the BLS certification you need to carry on with current or new job duties. Perks: The BLS cost includes a complimentary vinyl wallet card that is mailed to the listed address during checkout. The BLS class and training commences with a brief introduction of what basic life support entails. It also provides insight on the legal protections in place for each state in regards to rescuers who provide medical assistance to unknown parties. Per the Good Samaritan Law, for example, health experts who administer medical techniques, such as CPR or AED to save lives are usually protected against negative legal proceedings when no compensation is expected. This is a clear example of the value of studying a standard BLS class, even if you’re not required to. The class provides profound instruction for medical workers that often use BLS on the field in the real world. Our BLS training is a wide-ranging lesson plan that helps rescuers become better prepared for the job at hand. At any given time, participants can skip modules or reread the class as-needed. When studying basic life support, however, health care workers quickly realize that every lesson is interconnected. As a result, we recommend studying all modules, as this knowledge can prove invaluable in scenarios where multiple injuries are sustained. The BLS test features 10 questions that hold a 10-point value each. Created in multiple-choice or true or false variations, you need at least 70 points in order to pass or 7/10 correct answers. If at first you don’t succeed, students have an opportunity to try as many times as necessary. There is no cap on the number of times to take the test. There are additionally no payment pop-ups for retesting. The CPR Heart Center only prompts students to pay once the test is passed, and this too is elective. For healthcare professionals who have already participated in basic life support training and have previously passed the test, one alternative to sacrificing valuable time is to skip directly to the test portion of the Basic Life Support (BLS) Certification Class. This option can be found under the “Begin the Class” button at the end of the page. Click on “Skip to Test” and you’ll be well on your way to getting recertified in minutes. If you do need a refresher class on BLS, this is certainly an option, too. The class ends upon successful completion of the test. With a passing grade, graduates receive a BLS certificate and a temporary wallet card that can be either be printed on-the-spot or saved via email. The permanent wallet card made of durable vinyl is mailed to the listed address at checkout and should be expected within two to five business days. Once you pass the BLS test, the certification is valid for two years. To help employers check for the BLS validity, direct them to the main website, where an e-Verify tool is available to check the status of the certification. Now that it’s clear what the BLS class entails, take a look around and decide if it’s right for you. Remember, there are no obligations whatsoever and no upfront payments due. The class can be completed in hours or less, and an immediate proof of accreditation is available after the test. Earn Your BLS Certification Today!